The Bow River walk is a relaxing way to see Calgary and get around downtown. The river’s vibrant blue waters trickle all the way down from the Rocky Mountains to the city. There’s also a collection of awe-inspiring murals by local artists splashed over bridges and buildings throughout the walk. The cultural cornerstone of Calgary for over 50 years, the Glenbow Museum houses a collection of one million artefacts and artworks, and a rotation of impressive exhibitions. Located on 9th Ave SE, you can’t miss the towering concrete building that’s made its name as one of the largest museums in Western Canada. The Glenbow pays homage to Calgary’s history, pre- and post-oil, and reflects the city’s unique landscape and Western Canadian culture. For a city that’s known for its cowboy culture, you’ll find much more than just that at the Glenbow. With a prime location overlooking Calgary’s Bow River, Charbar’s rooftop is the perfect spot to enjoy Argentine-inspired fare and a spectacular sunset. You’ll find Charbar on the Bow River walk, or access it via Confluence Way SE. Once inside, ride the elevator to the top floor and step out into the warm sunshine. Here you’ll find a happening vibe and an infectious atmosphere. The menu is straight-forward with your classic choice of burgers or pizzas, all served with an Argentine twist. Cap off day one with cocktails at one of the most elaborate (and secret) bars in Calgary. As the name suggests, Shelter is a refuge for the weary urban traveller and emulates a locked survival vault. The theme extends to the food and drinks as it imitates what might be found in a fallout bunker – think foraged flavours and rationed meals (read: small share plates). 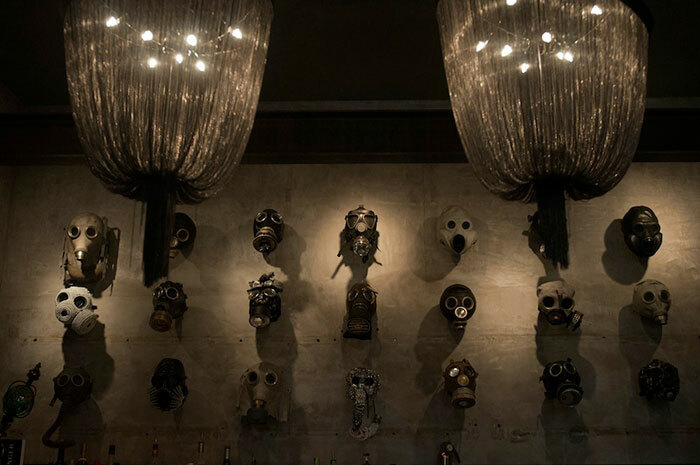 The theme comes together impressively with gas masks lining the wall behind the bar and patrons taking refuge in plush velvet lounges. It’s a scene far from the typical dirty, dark bunker that so easily comes to mind when thinking of a fallout shelter. To find this hidden gem head down 1st St SW until you see the black flag hanging outside of its door. Old-school diner vibes paired with an elevated menu has given rise to this popular breakfast haunt. Fuel up with the Merguez 'and' Eggs (baked eggs with lamb sausage, stewed tomatoes, greek yoghurt and toast) and a Fratello coffee. The Beltliner also has a small booth where you can grab a coffee and pastry to-go if you’re in a rush. 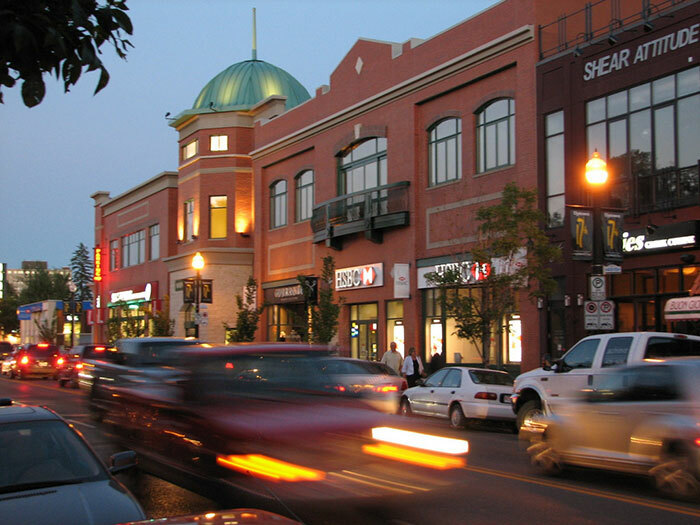 Wear your most comfortable kicks because there’s shopping to be done at Calgary’s 17th Ave. If you’re in the market for high-end fashion, Leo Boutique is where you need to be. It’s a carefully-curated space featuring brands like Opening Ceremony and Citizens of Humanity. Alternatively, Used House of Vintage is a mecca for quality vintage finds at decent prices. Sate your hunger after a long day of shopping at Cleaver Bar in 17th Ave. This rustic-chic kitchen is all about small share plates and creative cocktails. 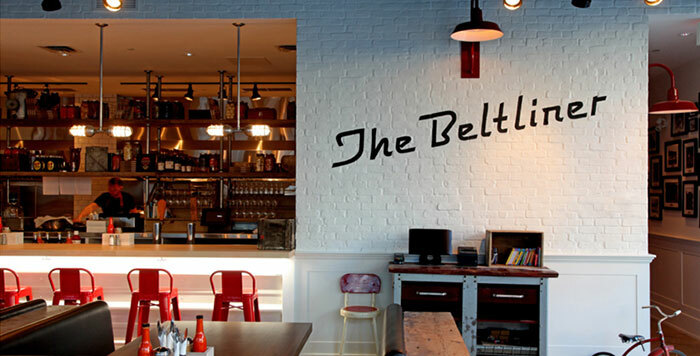 Their menu features anything from mac ‘n’ cheese to crab sliders and bone marrow (served with a shot of whiskey). Pick out your favourites to share with the table and wash it all down with a few cocktails (their Confused.com or Sticky Wicket – garnished with a marshmallow – cocktails are must-trys). As Canada’s second-largest ballet company, you can be guaranteed a magical performance from the Alberta Ballet Company. It has a glowing reputation for its contemporary and classical repertoire, and is one of the best ways to spend an evening in the city. Discover Calagary on our West Coast Wonders Journey, 11 days from £2,839pp. To find out more, talk to our Experts online, by phone or visit us in-store.